Welcome to 2019. 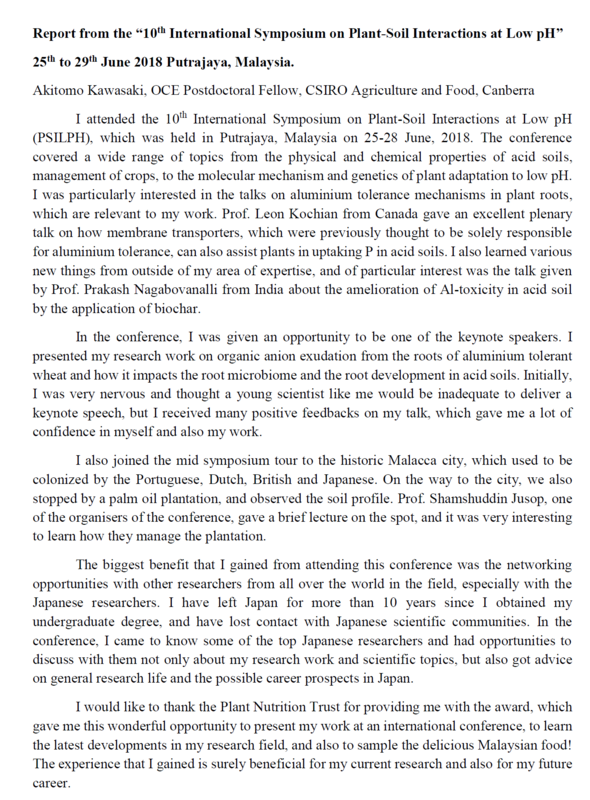 In this issue, enjoy reading 2018 travel reports from The Plant Nutrition Trust awardees. We hope you will be inspired to travel in 2019. 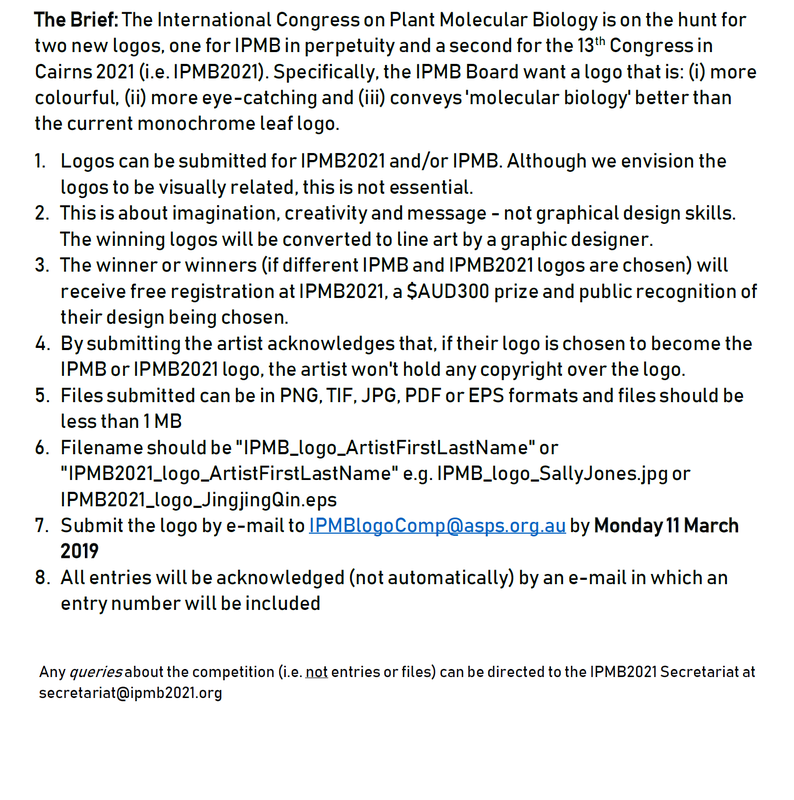 ASPS is also promoting an exciting competition, to design 2 logos for IPMB2021, Cairns, Australia. Entries close 11th March 2019, read details below. 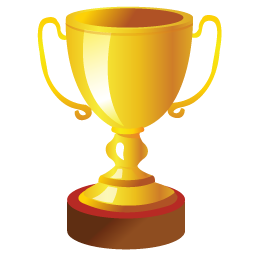 Lastly, click the link to see photos from Combio 2018 in Sydney; http://www.combio.org.au/combio2018/ and deadline for the Jan Anderson Award is 28th February 2019. Daihua Ye, School of Biological Sciences, University of Western Australia. 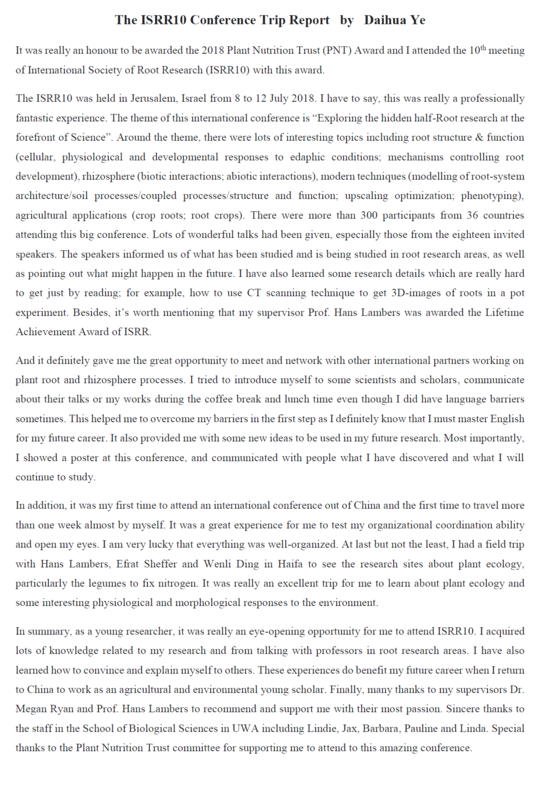 Hoang Han Nugyen, Graham Centre for Agricultural Innovation, Charles Sturt University, New South Wales, Australia. Akitomo Kawasaki, CSIRO Agriculture and Food, Canberra, Australia. 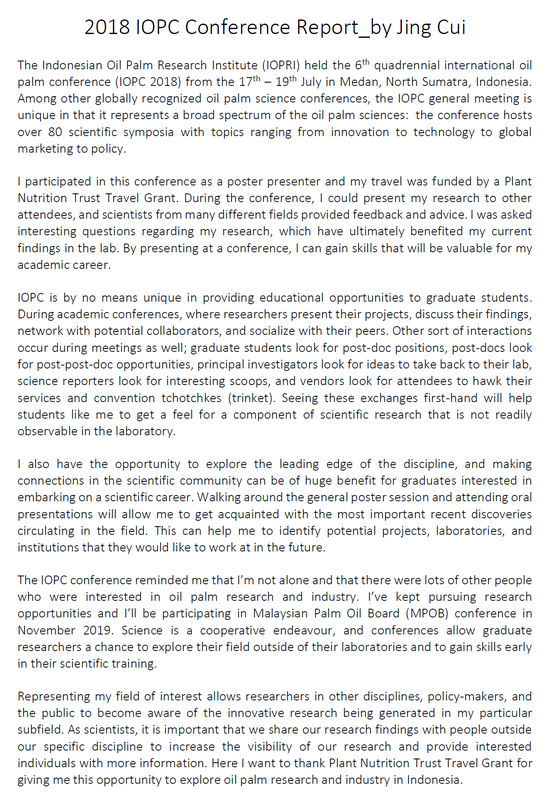 Jing Cui, Research School of Biology, ANU College of Science, Canberra, Australia. Jinlong Dong, La Trobe University, Melbourne, Australia and Chinese Academy of Sciences, Department of Soil-Plant Nutrition and Fertilizers. Chana Borjigin, School of Agriculture, Food and Wine, University of Adelaide, Australia. 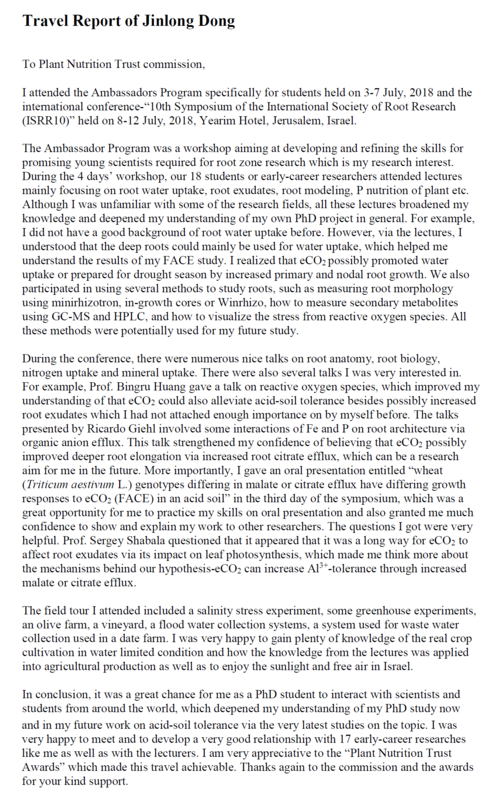 Sijia Guo, School of Agriculture, Food and Wine, University of Adelaide, Australia.